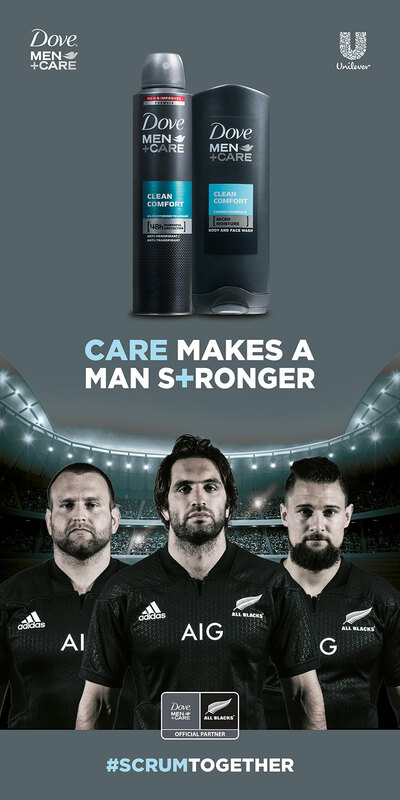 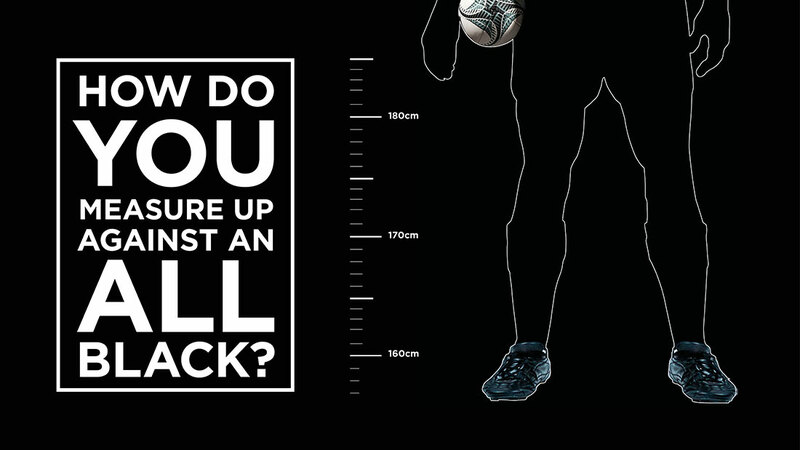 Drive sales of Dove Men + Care products, whilst elevating the rugby sponsorship credentials attained by Dove Men + Care. 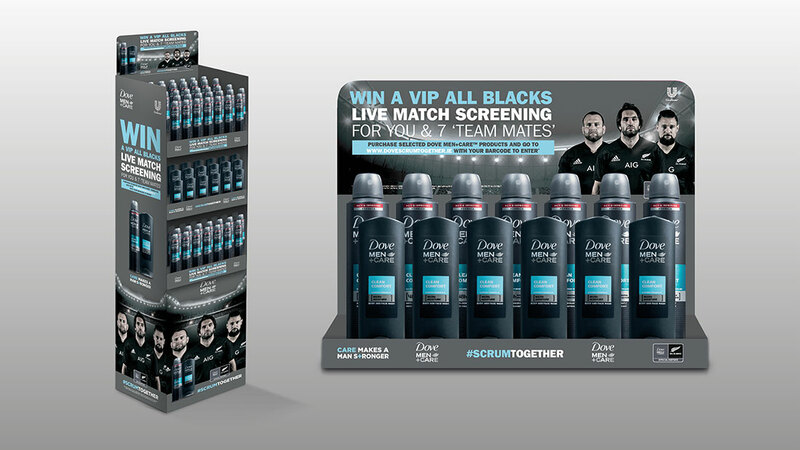 We created a full shopper activation with purchase-to-enter mechanics. 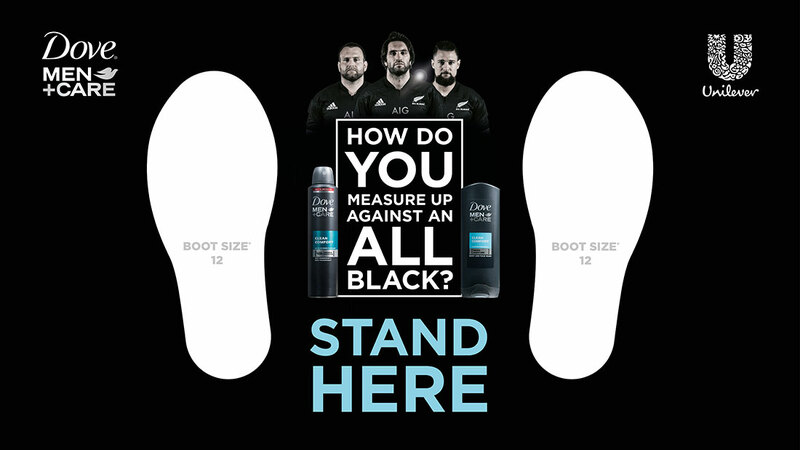 Through POS and a supporting experiential roadshow activation, we motivated shoppers to buy products by developing a compelling call to action. 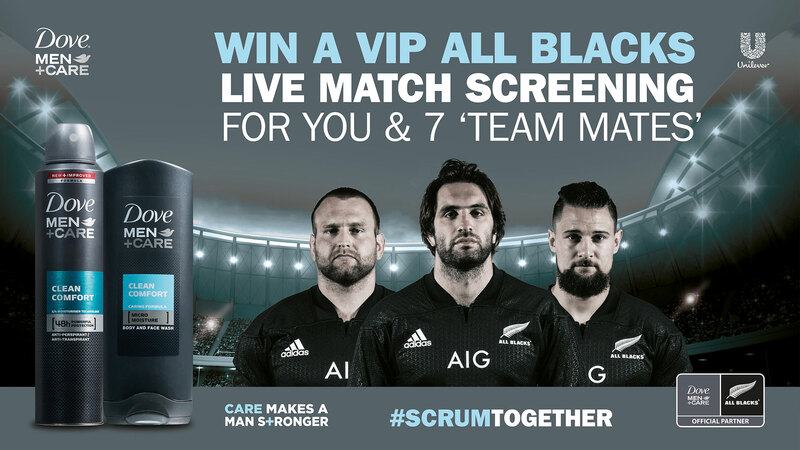 Shoppers could win a VIP All Blacks live match screening by visiting www.dovescrumtogether.ie and entering their barcode from the purchased product. 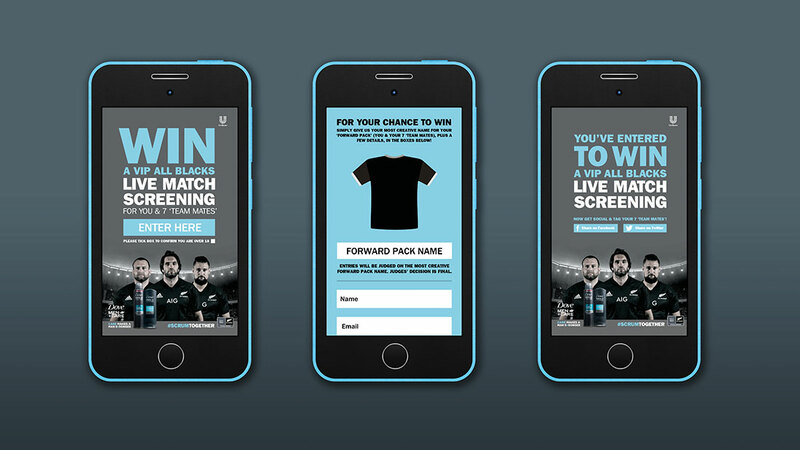  We simultaneously created social media activations and formed a partnership with Joe.ie to further drive campaign excitement. 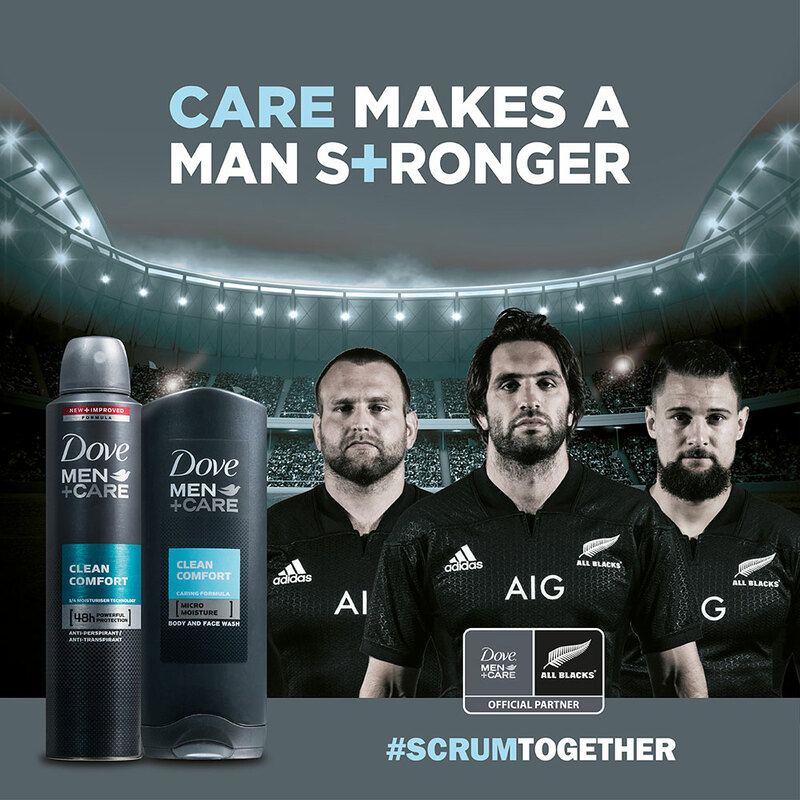 Notable increase in sales during promotional period, along with consolidated consumer association between Dove Men + Care and Rugby.